LEAD JUDGMENT: UGOCHUKWU ANTHONY OGAKWU, J.C.A. This is an appeal against the decision of the High Court of Lagos State. “1. A declaration that the Claimants are entitled to Statutory Right of Occupancy to the Eleven Plots of Land Situate at Ije Ododo, Lagos State shown and delineated on Compilation Survey Plans JOD/37/87 AND JOD/004/89 MADE BY Surveyor J. O. Dudu of 19, Assoland Street, Ewu Tutun, Shogunle Lagos. A sum of N22 Million (Twenty-two Million Naira) being Special and General Damages for trespass. The Respondents were served with all the Court processes but they neither filed any processes nor cross-examined the sole witness called by the Appellants in proof of their case. In its judgment, the trial Court dismissed the Appellants’ case. Appellants appealed to the Court of Appeal. “1. Whether the witness statement on oath of the 1st appellant is competent and whether the lower Court can determine the suit on the basis of the witness statement on oath. Whether the disparity between exhibits B, D, E, F, K and K1 and the evidence of the 1st appellant with respect to the date of the purchase of the land in dispute is fatal to the appellants’ case. 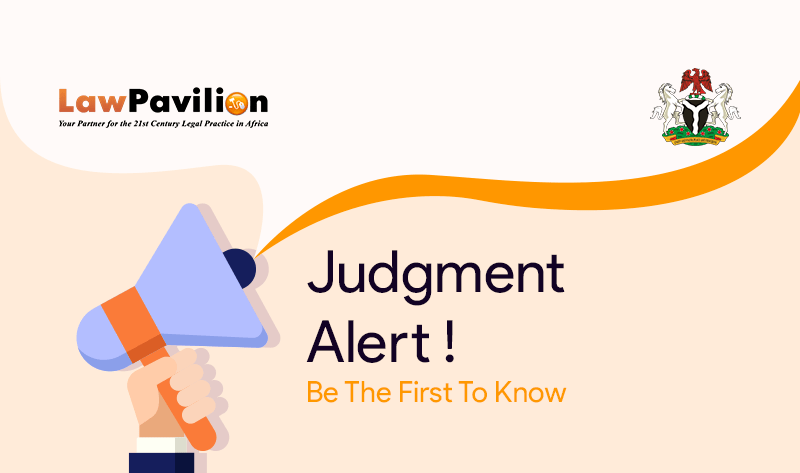 Whether the trial judge was right to have raised and determined suo motu the issue of discrepancy in exhibits B, D, E, F, K and K1 and the evidence of the 1st appellant without allowing the appellant to address him on it. Whether there was evidence in the written statement on oath upon which the lower Court could have granted the appellants a declaration to the land in dispute. In conclusion, the Court of Appeal resolved the issues against the appellants and dismissed the appeal.